High Level Hostel opened on the 43-rd floor of the Imperia tower in the Moscow City, two minutes away from Vystavochnaya (Delovoy Tsentr) metro station. 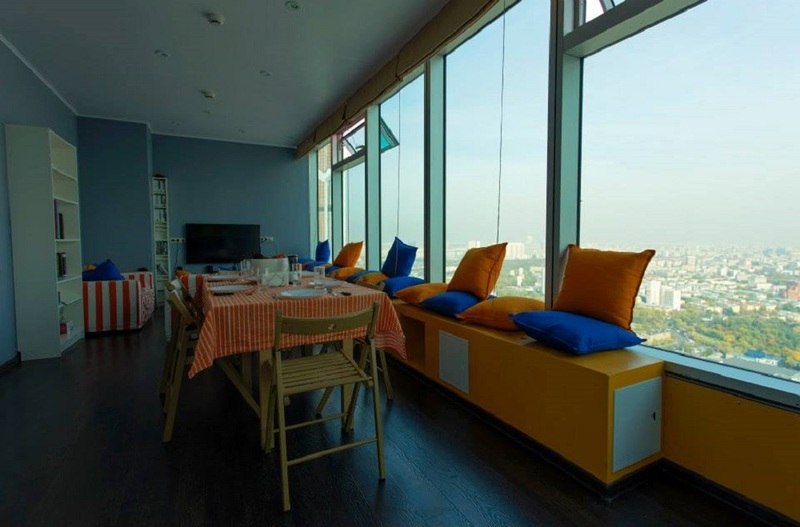 The common room offers a breathtaking view on the streets of Moscow from a height of 170 meters. There are rooms for two, four and six guests. The hostel has many advantages besides proximity to the metro station and a view from the window, equally prominent in the morning and in the evening. It has three shower rooms, round the clock security, laundry, as well as breakfast and snacks included in the price. There is a library in the hostel and a large mall with cafés, bars, restaurants and shops nearby. Prices range from 1100 to 2500 rubles per night.